South Corpus Christi – Burney Dr.
Annaville Area – Violet Rd. 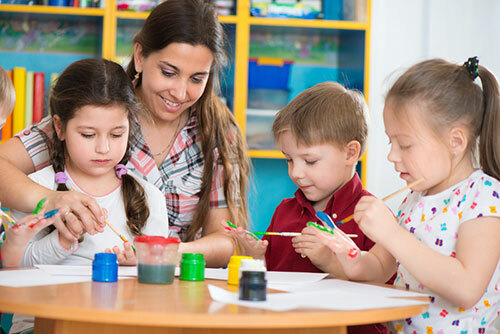 A-Bar-Z Ponderosa has provided quality child care in Corpus Christi since 1973. Many of our children’s parents were former students of Ponderosa. We offer full or part-time care for children from ages infant to 12 years. We provide a safe, nurturing environment that allows children the freedom to explore, play, and learn. Nutritious meals and snacks are provided. Our staff is dedicated to the highest quality care for your child. At A-Bar-Z Ponderosa your child is cared for in a safe, clean, healthy environment. Children are supervised at all times by trained staff members. All staff members are trained in first aid and CPR. The southside location on Burney Dr. is off Everhart near the city’s SPID retail core. The westside location on Violet Rd. one half mile south of I-37 in the Annaville commercial center. One of our most popular programs, our after school care includes transportation from nearby schools. In summer months these and other school agers are offered a full day “summer camp” style program featuring field trips and swimming in our on-site 20′ x 40′ pool (southside location). Visitors are welcome to stop by either location for a tour. You may observe children’s activities, meet staff members, and the center director. Children are welcome on tour as well. Tours are available anytime, Monday through Friday, 8am to 6pm. Saturday and after hours tours available by appointment.